Databases grow over time, sometimes outgrowing the space on their original file system. When they’re located on the same partition as the rest of the operating system, this can also potentially lead to I/O contention. RAID, network block storage, and other devices can offer redundancy and improve scalability, along with other desirable features. Whether you’re adding more space, evaluating ways to optimize performance, or looking to take advantage of other storage features, this tutorial will guide you through relocating PostgreSQL’s data directory. In this example, we’re moving the data to a block storage device mounted at /mnt/volume_nyc1_01. If you are using Block Storage on DigitalOcean, this guide can help you mount your volume before continuing with this tutorial. Regardless of what underlying storage you use, though, the following steps can help you move the data directory to a new location. This output confirms that PostgreSQL is configured to use the default data directory, /var/lib/postgresql/10/main, so that’s the directory we need to move. Once you've confirmed the directory on your system, type q and press ENTER to close the PostgreSQL prompt. Jul 12 15:22:44 ubuntu-512mb-nyc1-01 systemd: Stopped PostgreSQL RDBMS. Now that the PostgreSQL server is shut down, we’ll copy the existing database directory to the new location with rsync. Using the -a flag preserves the permissions and other directory properties, while -v provides verbose output so you can follow the progress. We’re going to start the rsync from the postgresql directory in order to mimic the original directory structure in the new location. By creating that postgresql directory within the mount-point directory and retaining ownership by the PostgreSQL user, we can avoid permissions problems for future upgrades. Note: Be sure there is no trailing slash on the directory, which may be added if you use tab completion. If you do include a trailing slash, rsync will dump the contents of the directory into the mount point instead of copying over the directory itself. Now we’re ready to configure PostgreSQL to access the data directory in its new location. Save and close the file by pressing CTRL + X, Y, then ENTER. This is all you need to do to configure PostgreSQL to use the new data directory location. All that’s left at this point is to start the PostgreSQL service again and check that it is indeed pointing to the correct data directory. Jul 12 15:45:01  ubuntu-512mb-nyc1-01: Started PostgreSQL RDBMS. Lastly, to make sure that the new data directory is indeed in use, open the PostgreSQL command prompt. With that, you have successfully moved your PostgreSQL data directory to a new location. If you’ve followed along, your database should be running with its data directory in the new location and you’ve completed an important step toward being able to scale your storage. You might also want to take a look at 5 Common Server Setups For Your Web Application for ideas on how to create a server infrastructure to help you scale and optimize web applications. Postal addresses are usually lengthy and sometimes difficult to remember. There are a number of scenarios where a shorter address would be desirable. For example, having the ability to send a short address consisting of only a couple of characters could ensure faster delivery of emergency ambulance services. Pieter Geelen and Harold Goddijn developed the Mapcode system in 2001 to make it easy to create a short-form address for any physical address in the world. 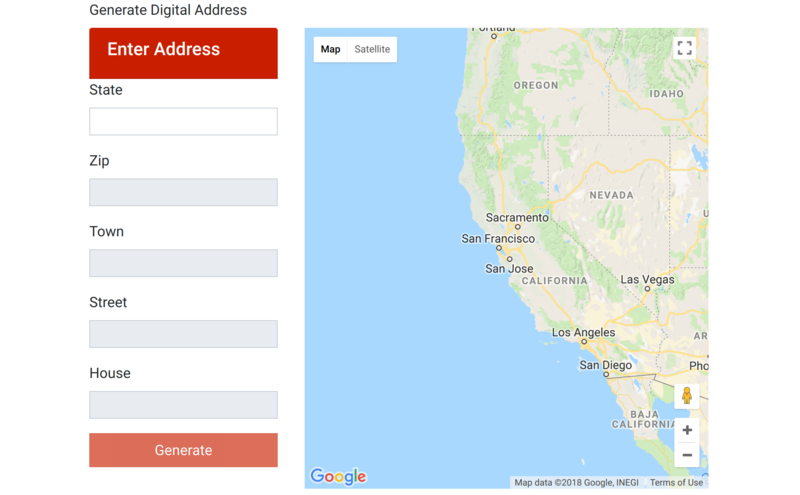 In this tutorial, you will develop a web app that uses the Google Maps API to generate a short digital address for any address of your choice. You will do this by cloning the base code for this app from GitHub and then adding code to it that will make it fully functional. This app will also be able to retrieve the original physical address from a given mapcode. Following this, it will ask you to enter your billing information. Note that Google provides API keys as part of a free trial, but it requires you to set up and enable billing in order retrieve them. After entering this information, your API key will appear on the screen. Copy and store it in a location where you can easily retrieve it, as you will need to add it to your project code later on. After obtaining your API key, you can begin building the foundation of your application by creating a MySQL database. The web application described in this tutorial accepts an address from the user and generates a mapcode for it along with the latitude and longitude of the specified location. You will store this data in a MySQL database so that you can retrieve it later on just by entering the respective digital address. This table has eight columns: digitaladdress, state, zip, street, town, house, latitude, and longitude. The first column, digitaladdress, is indexed using the KEY command. Indexes in MySQL function similarly to how they work in an encyclopedia or other reference work. Any time you or your application issue a query containing a WHERE statement, MySQL reads every entry in each column, row-by-row, which can become an extremely resource-intensive process as your table accumulates more and more entries. Indexing a column like this takes the data from the column and stores it alphabetically in a separate location, which means that MySQL will not have to look through every row in the table. It only has to find the data you're looking for in the index and then jump to the corresponding row in the table. 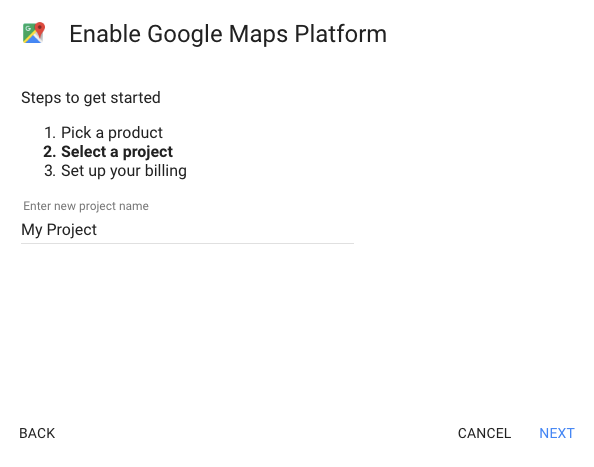 With your database and table set up and your Google Maps API key in hand, you're ready to create the project itself. As mentioned in the introduction, we will clone the base code for this project from GitHub and then add some extra code to make the application functional. The reason for this, rather than walking you through the process of creating each file and adding all the code yourself, is to speed up the process of getting the app running. 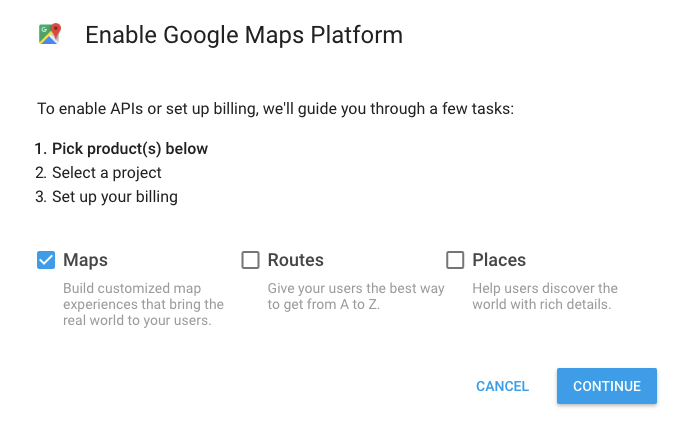 It will also allow us to focus on adding and understanding the code that allows the app to communicate with both the Google Maps and Mapcode APIs. The index.php file contains the code for the application's user interface (UI), which consists of a form where users can enter a physical address. The index.php file calls the geoimplement.php file any time a user submits the form. geoimplement.php makes a call to the Google Maps API and passes the address along to it. The Google server then responds with a JSON containing the specified address's information, including its latitude and longitude. 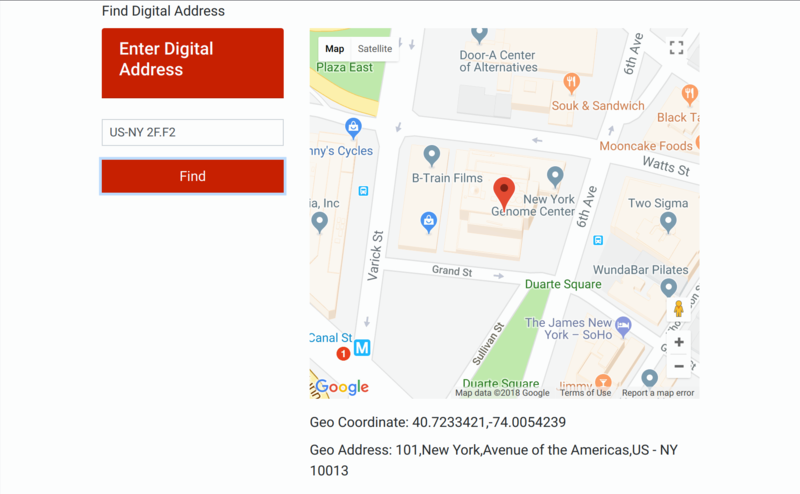 This information is then passed to the generateDigitalAddress.php file which calls the Mapcode API to obtain a mapcode for the given location, as specified by its latitude and longitude. The resulting mapcode, along with the latitude, longitude, and the physical address, are then stored in the database that you created in Step 2. db.php acts as a helper for this operation. 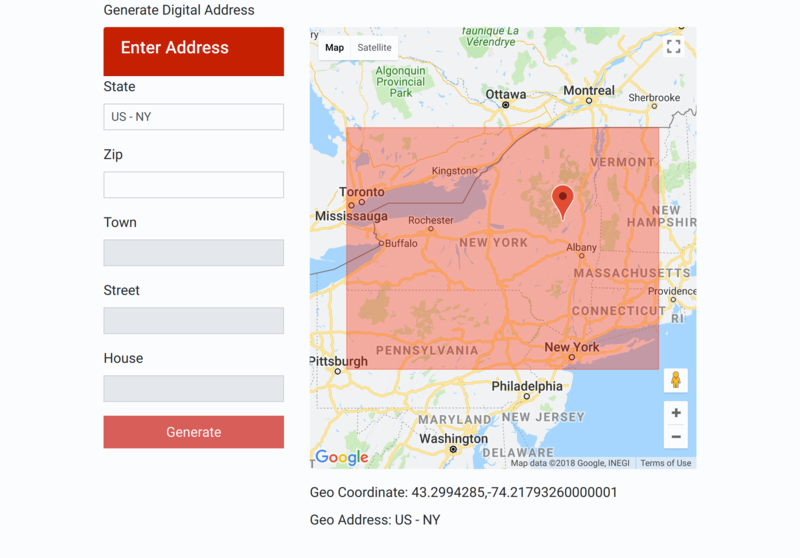 The createDigitalAddressApp.js file performs a number of operations that control the UX elements seen in the app, including setting a marker and boundary rectangle on the Google Maps interface. The findaddress.php file defines the application UI, which is distinct from the one defined in index.php. The application accepts a previously-generated mapcode as an input and displays the corresponding physical address stored in the database. Whenever a user submits this form, findaddress.php sends a call to fetchaddress.php which then retrieves the respective mapcode from the database. The findAddressApp.js file contains the helper code for setting a marker and a boundary rectangle on the Google Maps interface. Test the installation by visiting http://your_server_ip/digiaddress in your browser, making sure to change your_server_ip to reflect your server's IP address. This confirms that you have correctly downloaded the project files. With that, let us proceed with the development of the app's primary function: generating a mapcode. While the boilerplate code for the application interface is included in the files you downloaded in the previous step, you still need to make a few changes and additions to some of these files to make the application functional and engaging for users. We will get started with updating the code to develop the application's UI. <input type="text" class="form-control rounded-0 textbox-border" id="state"
<input type="text" class="form-control rounded-0 textbox-depth textbox-border"
<input type="text" class="form-control rounded-0 textbox-border"
<input type="text" class="form-control rounded-0 textbox-border" id="street"
<input type="text" class="form-control rounded-0 textbox-border" id="house"
<button type="submit" disabled="disabled" class="btn btn-color btn-block rounded-0" id="generate"
<input type="text" class="form-control rounded-0 textbox-border "
At this point, if you enter address information into the form and try clicking the Generate button, nothing will happen. We will add the mapcode generation functionality later on, but let's first focus on making this page more visually engaging by adding a map which users can interact with. Visit the application again in your browser and enter the name of a state in the first field. When you move your text cursor to the next field, the latitude and longitude labels don't appear, nor does the location shown on the map change to reflect the information you've entered. Let's enable these behaviors. 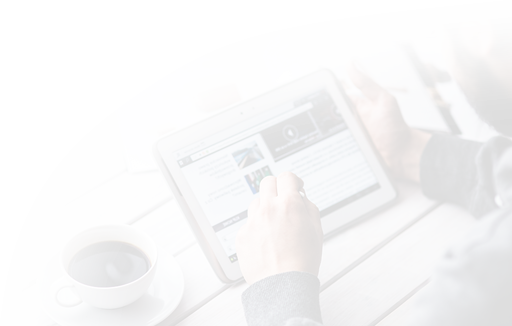 Adding interactive elements to an application can help to keep its users engaged. We will implement a few interactive behaviors in this application through the use of event listeners. The first of these new lines — ng-blur="geocodeAddress(address,'state')" required=""/> — translates to "When the user's focus shifts away from the 'state' field, call the geocodeAddress function." The other new lines also call geocodeAddress, albeit when the user's focus shifts away from their respective fields. As with the processForm function, geocodeAddress is declared in the createDigitalAddressApp.js file, but there isn't yet any code in that file that defines it. We will complete this function so that it places a marker and draws a rectangle on the application map after these blur events occur to reflect the information entered into the form. We'll also add some code that takes the address information and processes it into a mapcode. Save the file, but keep it open for now. If you were to visit the application in your browser again, you wouldn't see any new changes to its appearance or behavior. 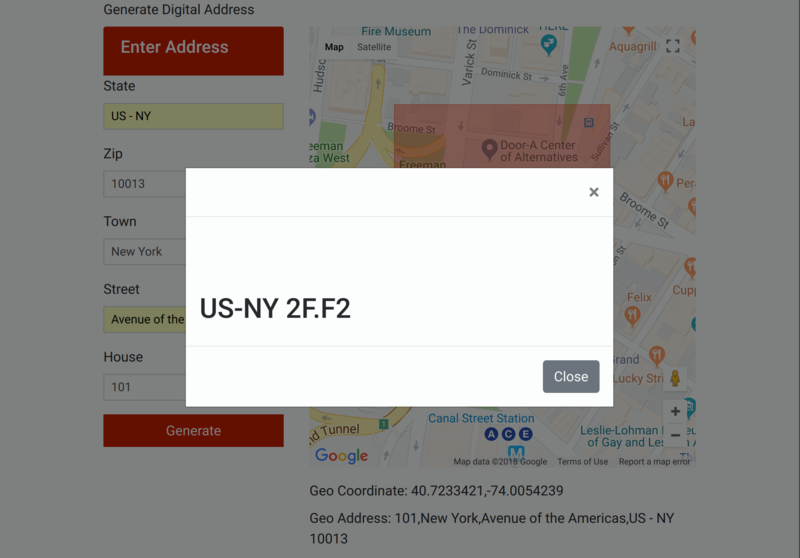 Likewise, if you were to enter an address and click on the Generate button, the application still would not generate or display a mapcode. This is because we must still edit a few files before the mapcode functionality will work. Let's continue to make these changes, and also take a closer look at how these mapcodes are generated. The line reading include("db.php"); tells PHP to include all the text, code, and markup from the db.php file within the generateDigitalAddress.php file. 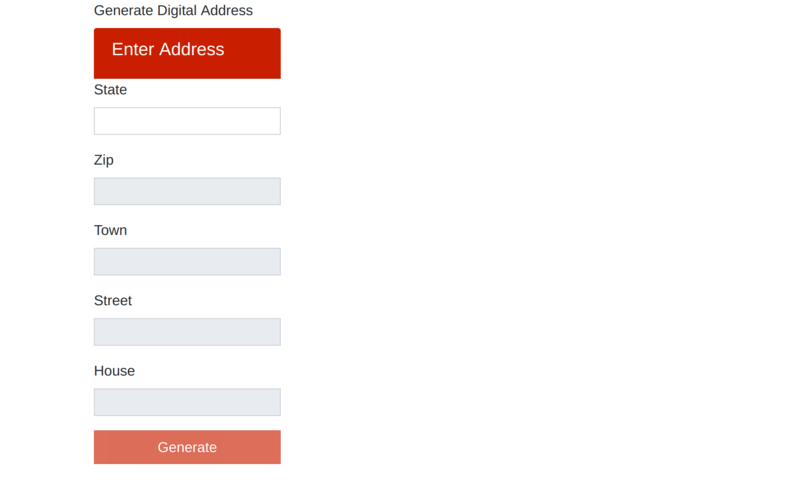 db.php holds the login credentials for the MySQL database you created in Step 2, and by including it within generateDigitalAddress.php, we can add any address information submitted through the form to the database. Look for the following comment in generateDigitalAddress.php file. Add the following line of code below this comment. This code makes a call the Mapcode API, sending lat and long as parameters. Although you did add a new line of code to generateDigitalAddress.php, you still won't see any functional changes when you visit and interact with the app in your browser. This is because you've not yet added your Google API key to the geoimplement.php file, which makes the actual call to the Google Maps API. This application depends on the Google Maps API to translate a physical address into the appropriate latitude and longitude coordinates. These are then passed on to the Mapcode API which uses them to generate a mapcode. Consequently, if the application is unable to communicate with the Google Maps API to generate the location's latitude and longitude, any attempt to generate a mapcode will fail. Notice that the geocoordinates and physical address that you entered in the form appear underneath the map. This makes the application feel much more engaging and interactive. Note: When it comes to abbreviations for place names, Mapcode uses the ISO 3166 standard. This means that it may not interpret some commonly-used abbreviations as expected. 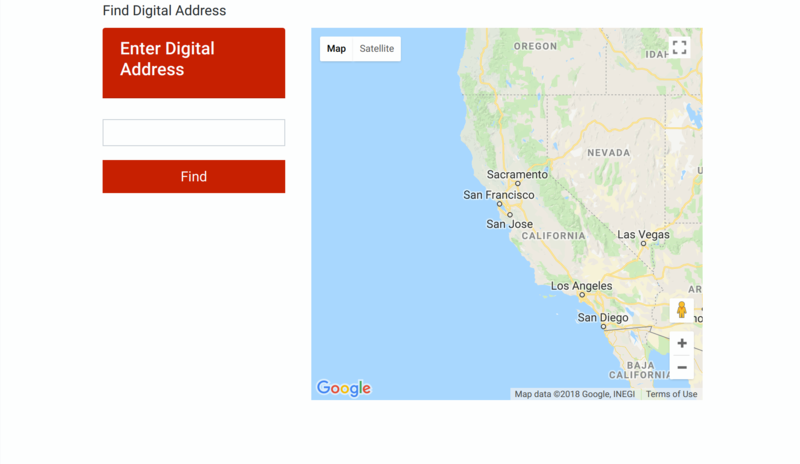 For example, if you'd like to generate a Mapcode for an address in Louisiana and you enter LA, the map will jump to Los Angeles, California (rather than the state of Louisiana). You can avoid confusion with US postal abbreviations by preceding them with US-. In the context of this Louisiana example, you would enter US-LA. To learn more about how Mapcode uses this standard, check out the Territories and standard codes reference page. Despite this improvement to how the application displays locations on the map, the app still isn't fully functional. The last step you need to take before you can generate a mapcode is to edit the db.php file to allow the application to access your database. Recall that this application stores every address entered into the form — along with its latitude, longitude, and mapcode — in the database you created in Step 2. This is made possible by the code within the db.php file, which stores your database credentials and allows the application to access the locations table within it. At this stage, you have completed your application and you can now generate a short digital address for any physical location in the world. Feel free to experiment with different addresses, and note that the address you enter does not necessarily need to be within the United States. Your final task is to enable this app's second functionality: retrieving an address from the database using its respective mapcode. The code for this UI is available in the findaddress.php file. As the UI defined within this file is fairly similar to the UI we covered earlier in Step 4, we will not look too closely at all the details of how it works. We will, however, go through these three files to explain generally how they function. Replace <YOUR KEY> with your Google API key as you've done in the previous steps, then save the file. Before closing it, though, let's take a quick look to see how these files work together. With that, your application is finished. You can now create a unique mapcode for any location in the world, and then use that mapcode to retrieve the location's physical address. In this tutorial you used the Google Maps API to pin a location and gets its longitude, latitude information. This information is used to generate a unique and short digital address using Mapcode API. There are a number of practical use cases for mapcodes, ranging from emergency services to archaeological surveying. The Stichting Mapcode Foundation lists several such use cases. Many thanks to Dinesh Karpe and Sayli Patil for developing the entire project code.